Sony’s special event is edging closer; it’s in NYC on 20th February (Wednesday). We expect to get to see the new PlayStation 4 and hear quite a bit about Sony’s plans for its next generation console on that date. However it looks like we had an interesting first glimpse at the PS4 controller when Destructoid published a photo, purporting to be of Sony’s next-gen controller, last night. Picking up from where Destructiod’s rather shallow article left off the IGN Network has reached out to Sony and done a bit of analysis on the controller layout. First of all Sony told IGN that it “can't comment on rumors or speculation”, which isn’t really a surprise. Also IGN suggests it’s not the finished controller design but a prototype which the final design may be similar to, but it also may not. However it seems like all the important elements for a next-gen controller are there, in as logical layout as many would expect. Sony hasn’t done anything drastic. The Vita-like glossy touchpad in the centre of the layout is present. 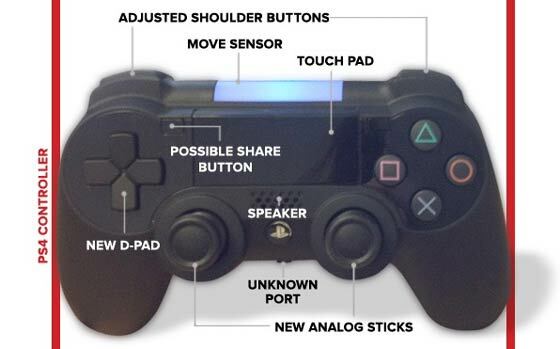 A “Move” controller is built into the pad facing in the direction of your console. Other than that there seems to be all the regular pads, buttons, triggers and control sticks you get on a current-generation console controller. Oh, there’s just one more thing, a tiny inset button next to the touchpad, it’s rumoured to be a share button. The new controller, as pictured, certainly looks more evolutionary than revolutionary. Will Microsoft’s effort be more daringly different? Hopefully we will get some much more earth shattering surprises at the PS4 console unveiling next week. Still looks as awkward and uncomfortable to hold as the current controller. Though it does look a bit fatter where the palms of the hands would sit. I personally don't like the thumb sticks being side by side, as it makes the hand hold it like a claw and thus get a real grip on the thing. I can see a touch pad getting very irritating, very quickly. Especially if every game starts to integrate it as some woeful mini-game, a bit like the Sixaxis on the PS3. Integrated voice comms and move wouldn't surprise me too much though. Not exactly revolutionary! The integrated voice looks useful but the touch pad area looks like a gimmick :S The port looks like headphone possibly. Assuming it's real, I'd hope there is still some refinement in the works. 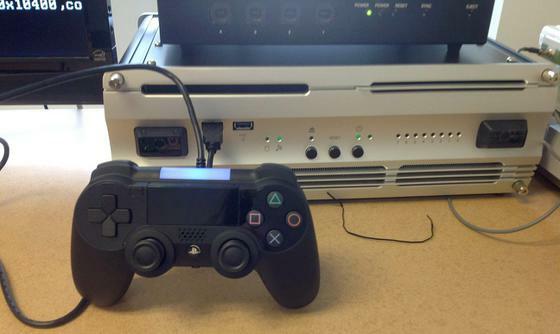 Anyone else seeing the likeness to the Ouya controler ? wonder how long it'll take for someone to claim patents on the touchpad and take the other to court..